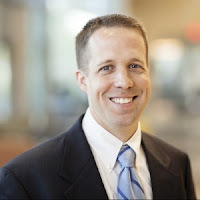 Today, CCA launches our new monthly blog series called, "Ask the Doctor." You can submit your questions to Annie Reeves (areeves@ccakids.com) and we will ask Dr. Earl Gage of Kids' Plastic Surgery in St. Louis to answer them. Thanks Dr. Gage for helping spread information and resources for our cranio families! The first question came from on of our CCA Teens. Question: Where do things stand with using 3-D printed ears for humans? Who is doing it? What are they made of? How close are they to printing scaffolding for actual cartilage and being able to 3-D print 'real' ears? Answer: There is no doubt that 3D printing is an exciting new technology that has obvious applications in plastic surgery. In ear reconstruction, 3D printing can already be used to create a mirror-image model of a child’s normal ear to help in fashioning an ideal removable prosthetic (or artificial ear) that can be worn. These same 3D mirror-image models can also be used in the operating room by reconstructive surgeons as a type of template to help build a new ear out of cartilage that is a “good match.” One company I am aware of (Medical Modeling - VSP Reconstruction) can also now create custom cutting templates and assembly jigs based on 3D models to help the surgeon precisely cut and fabricate an ear framework made from the child’s rib cartilage. These cutting templates and jigs may help make ear reconstruction more reproducible and more accurate, potentially improving results. While most 3D printing currently involves using plastic, metal or other non-living materials, researchers envision the future possibility of printing living tissue and perhaps even whole transplantable organs such as livers and kidneys. Though experts agree that printing a complex organ is many years away, applying 3D bioprinting to ear reconstruction may come sooner. For instance, researchers at Cornell University (Bonassar Research Group) have successfully bioprinted ear frameworks using collagen hydrogels infused with cartilage cells (chondrocytes) from cows. Their early results reported in 2013 suggest that these frameworks, when implanted in lab animals, maintain their shape and size over time. To my eye, the level of detail in their frameworks still needs improving, but their results are encouraging. They hope to accomplish the same results in the near future using human cartilage cells. Another group from Korea (Jung-Seob Lee et al) has printed ear frameworks using poly-caprolactone and hydrogel infused with human cartilage and fat cells cultured from human adipose derived stem cells. Though their frameworks were grown and cultivated in an incubator (not implanted), they showed it is feasible to build a complex hydrogel framework and coax human cells to grow in it. To date, no bioprinted, living tissue ear frameworks have been reliably and successfully implanted in humans. Most ear reconstruction surgeons feel that the “gold standard” in ear reconstruction remains fabrication of an ear using a child’s own rib cartilage. Based on the literature I have seen, I am optimistic that the advent of 3-D printing “real ears” may not be that far away. However, there are still significant challenges to overcome. 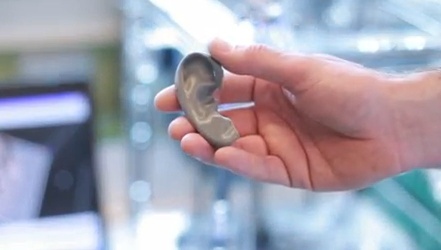 First, bio-printed frameworks still don’t have the same level of detail as a “real” ear. Secondly, it’s also not enough for a biologically printed ear to just look like an ear. It also needs to have the right rigidity and durability once implanted so it will last and yet be flexible enough so that it won’t break. In addition, it needs to be composed of living human tissue so it can grow and repair when injured and resist infection. Beyond the challenges in creating the framework itself, the skin covering over the framework may not be hospitable to a bio-printed ear if it’s tight or scarred. When the skin covering is too tight, it can cause the cartilage to reabsorb or lose its detail over time. And so researchers still need to figure out how to create the most favorable skin covering for framework insertion. The living ear framework will also need a blood supply so that it will live once inserted. Sorting out these challenges (and others not yet identified) will certainly take time, but there is no question that 3D printing holds exciting potential for the future of ear reconstruction. And hopefully that future is not too distant. This was my daughter's question. Thank you sui much for your thorough answer. I can't wait to show it to her.